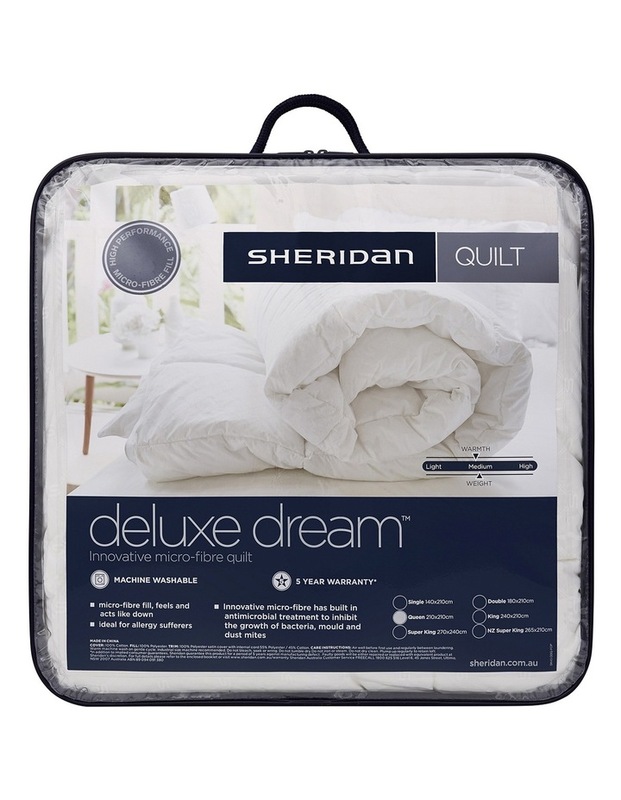 The Deluxe Dream quilt is designed for those who want the look and feel of feather and down, but for allergy reasons are unable to enjoy natural fibre-filled products. 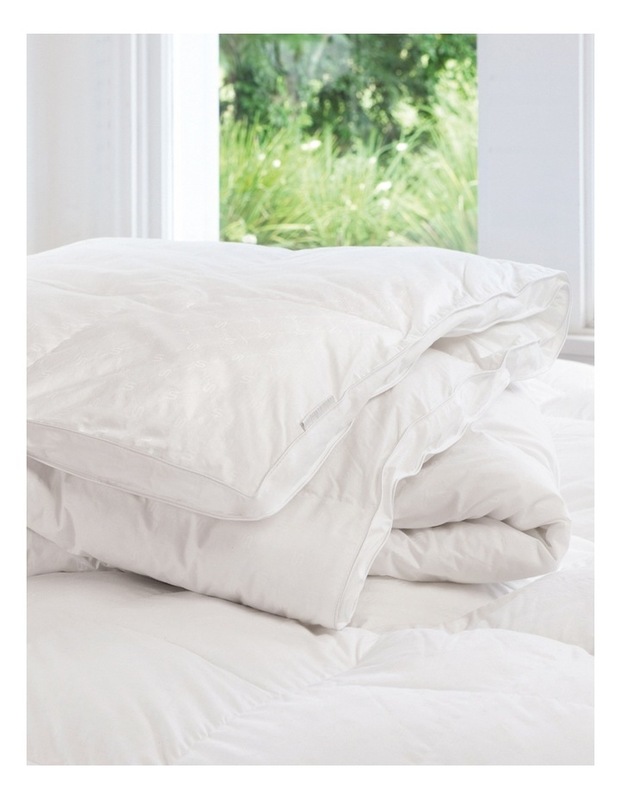 The Deluxe Dream quilt has the maximum loft and fullness you expect from a high quality quilt. 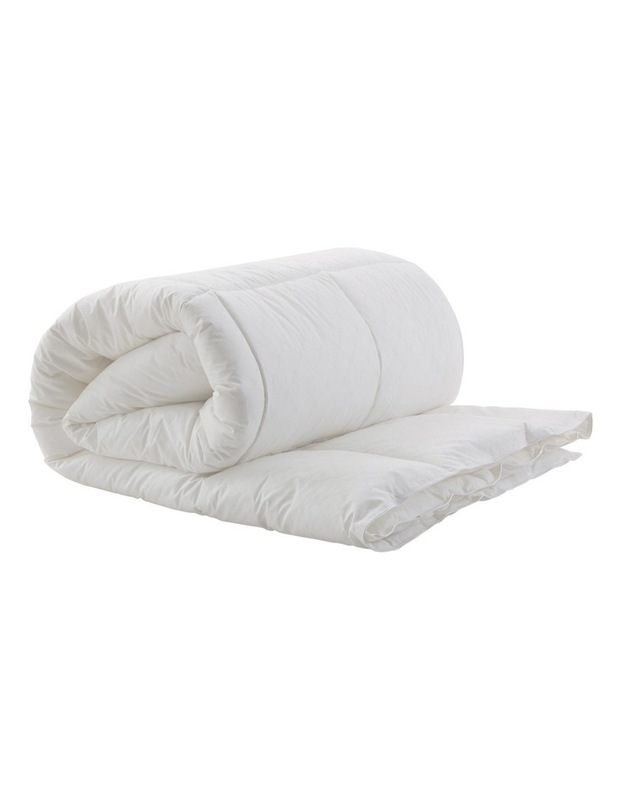 Consisting of squares that keep the filling evenly spread out in small compartments called baffles or boxes, the filling is prevented from moving around during the night, providing effective warmth and comfort. Ultra-fresh micro-fibre, a proven anti-microbial and anti-bacterial treatment that controls house dust mites and minimises growth of bacteria, moulds, mildew and fungi - which can trigger allergic and asthmatic responses. 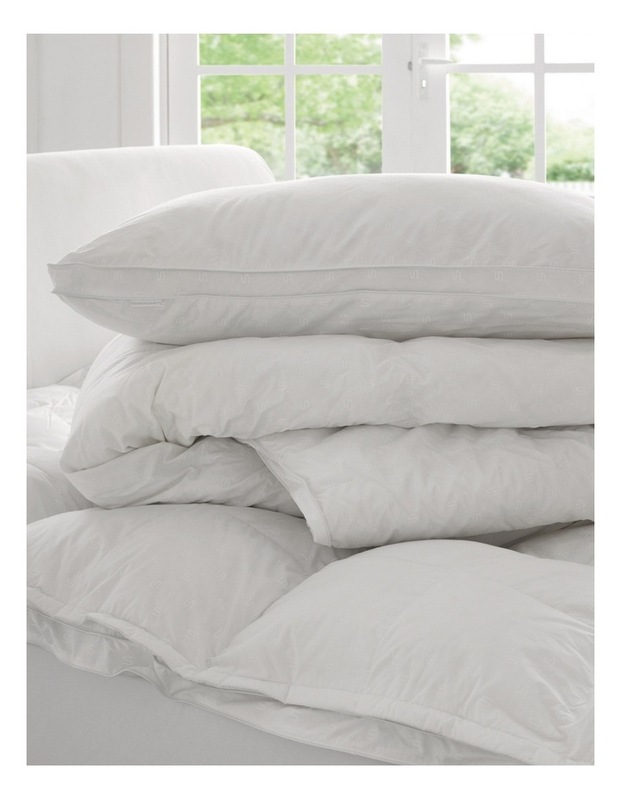 Warm machine wash using a gentle cycle with a mild or eucalyptus-based detergent. Dont bleach, soak or wring. Line dry over several lines without delay.